A concerned individual notified me via Facebook about News5 AKSYON's unauthorized use of my face on a video on Facebook and on their website. 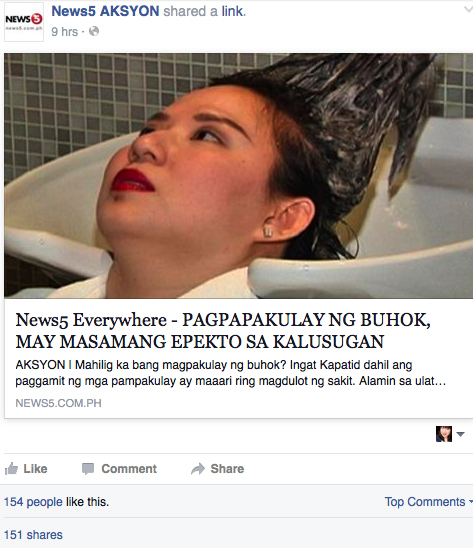 The news is all about Pagpapakulay Ng Buhok, May Masamang Epekto Sa Kalusugan. The thing is, I was not even having my hair colored at that time. 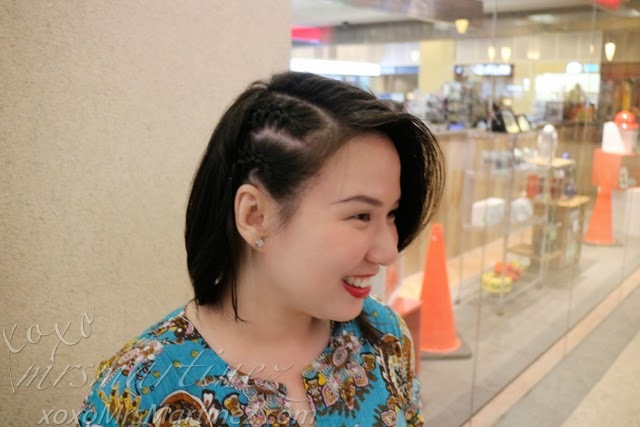 The video was taken during the launch of Dove Daily Hair Vitamin in Blo, Rockwell last year. Sadly, the channel/show or whoever captured and edited that video never even asked permission (which I will decline, of course!) nor even blurred my face for goodness' sake. Now, where is the truth in reporting there? I will email the news program now. Let's see what they have to say.